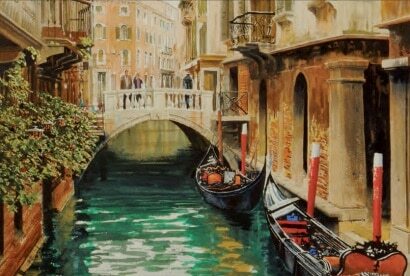 Venice is arguably one of the most beautiful cities in the world, and painters have been inspired by its stunning and evocative vistas for hundreds of years. 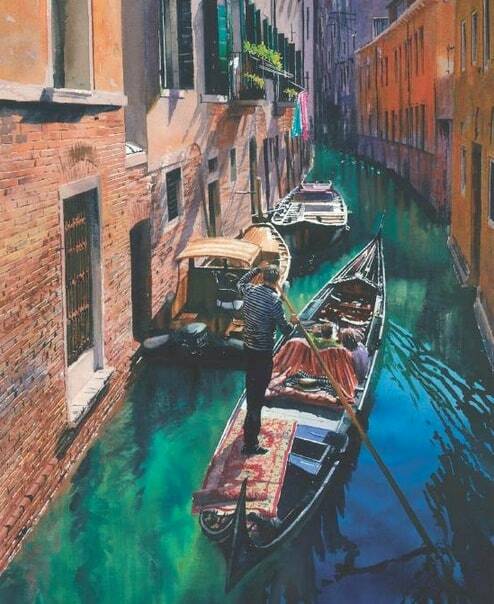 Now you too can create paintings of this wonderful city in watercolour by following Joe Dowden’s clear, step-by-step instructions and the removable full-size drawings supplied.Simply transfer the drawing of your choice to watercolour paper and you are ready to start. Every colour mix and technique is fully explained, and there are numerous tips to help you produce a finished work of art worthy of framing and hanging on the wall. 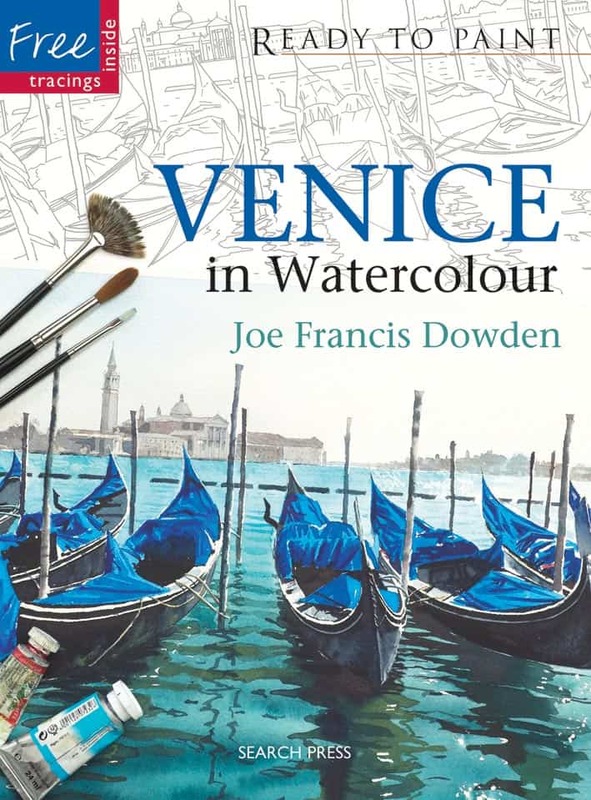 With the author’s help, you will learn how to capture mood, paint realistic skies, water and architecture, and reproduce stunning light effects, all of which are essential for capturing the essence and beauty of Venice. There are five in-depth projects, with drawings supplied for each one, as well as a sixth bonus drawing. In addition, there is a useful section on the materials and equipment you need, and instructions on how to transfer the drawing to your watercolour paper. Joe Francis Dowden turned professional in 1982 and has since written many successful books and has been published by David & Charles, Sterling and Search Press. He has sold out at numerous “one man” shows and has exhibited his work throughout Britain. He lives in Worthing, East Sussex. 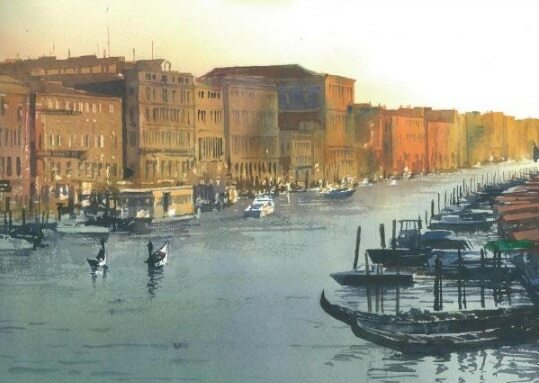 Five detailed, step-by-step projects of iconic Venetian scenes. Full-size removable drawings for each project. Sixth bonus drawing ready for transferring to watercolour paper. Useful tips and advice on colour and techniques throughout.